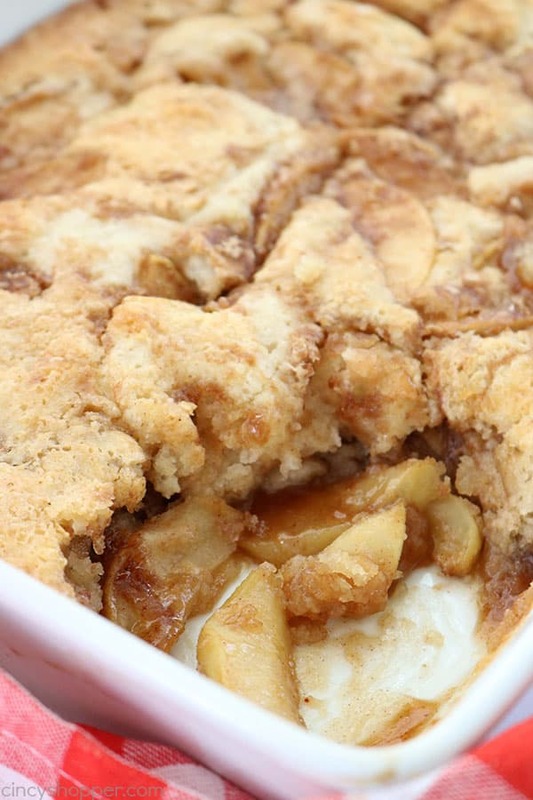 This homemade Apple Cobbler is going to become one of your favorite fall desserts. Just a few ingredients to make this warm and comforting dessert. 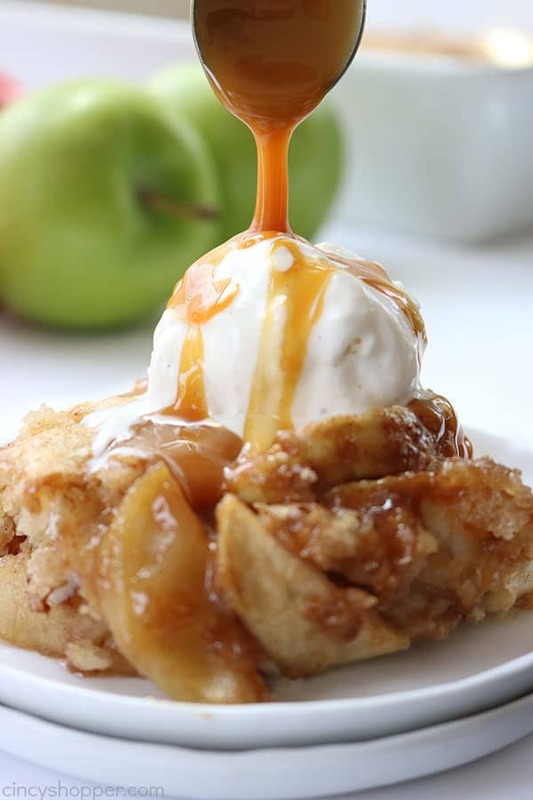 Fall is just around the corner which means it is time for some serious apple dessert recipes. 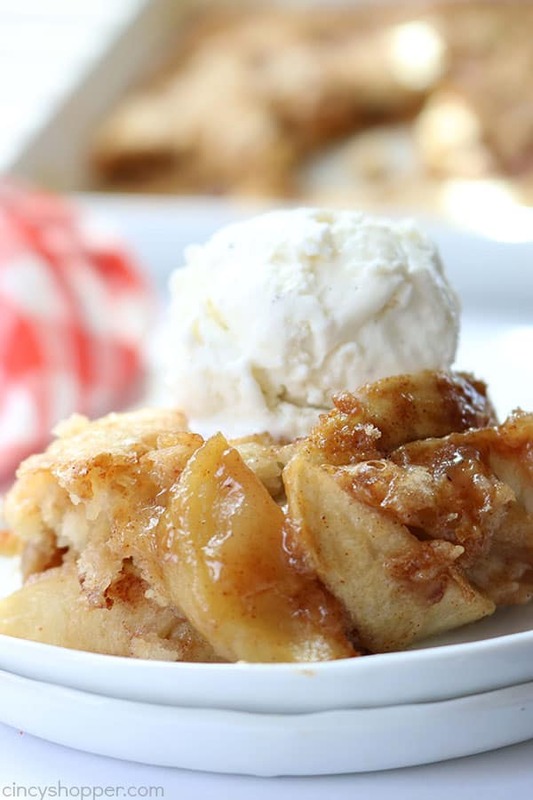 Pinterest and Facebook will be filled with all sorts of amazing comforting apple recipes. 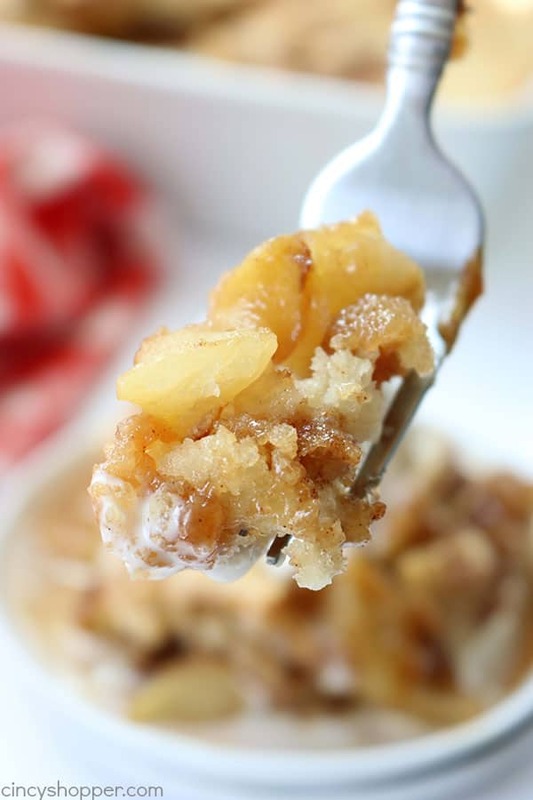 One of my favorite fall desserts is my Easy Apple Crisp. My hubby and kiddos request it frequently during the fall. 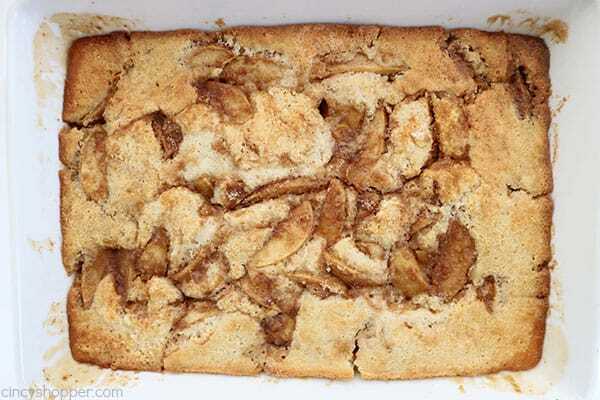 When fall arrives and apple desserts are baking in the oven, the entire house becomes cozy from the scent of the cinnamon and apples baking. I purchased bunches and bunches of apples this past week when doing our grocery shopping. I enjoyed a few with some of my Homemade Caramel and decided I would make a couple other apple desserts this week. 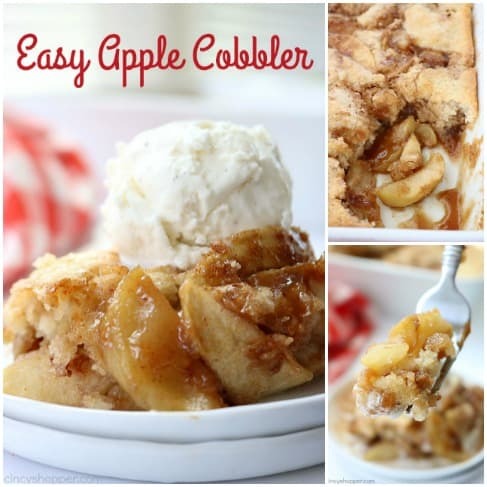 After doing a bit of googling, I came across Paula Deen’s Cobbler recipe. The reviews were all so good. Since her recipe was for peach cobbler, I knew if it was good with peaches, it definitely had to be good with apples. Cinnamon and apples are such a good combination. I knew they had to be good with her cobbler mixture. Wow… I was so right. 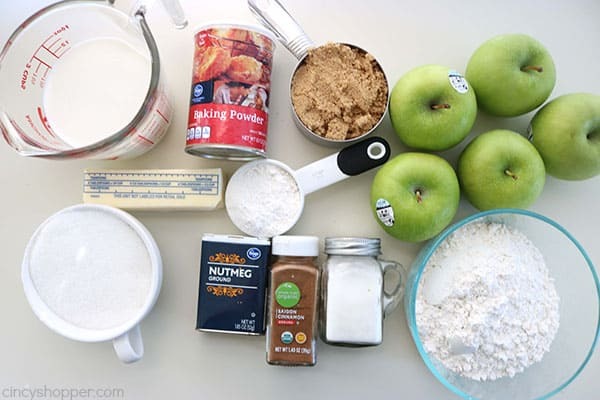 The apple filling that I used for my Apple Cobbler was so super simple and paired so well with Paula’s dough mixture. After I grabbed some pictures for the blog, the entire casserole dish was wiped clean. My daughter and her friend ate the majority while leaving just a few small servings for the rest of us. I topped mine with some vanilla ice cream because…. 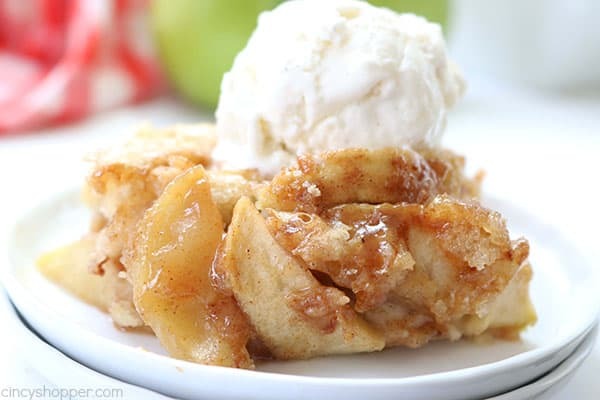 ice cream is always perfect with warm apple desserts. I had requests the very next day for me to make another dish of this cobbler. The entire family thinks it will be a recipe that is made over and over again this fall. I think we may add it to our Thanksgiving dessert menu. Plus… it will be great for fall potlucks too! 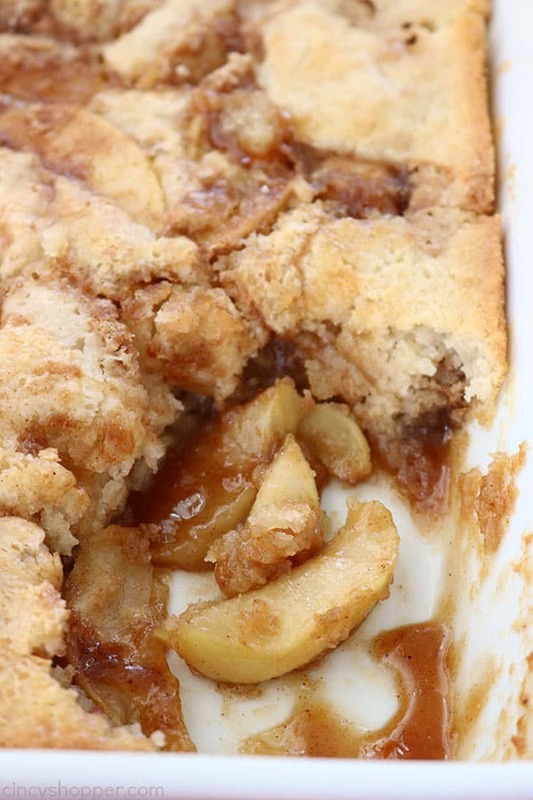 If you plan to make this apple cobbler, you will only need a few simple ingredients. 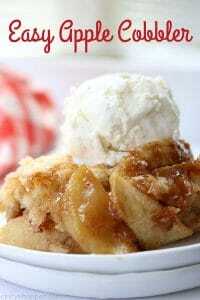 I used fresh apples but you could make this recipe with a can of store bought apple pie filling too. Paula used self rising flour. If you have that on hand, you will not need the baking powder and salt. I did not have any on hand so made my own with those two ingredients. 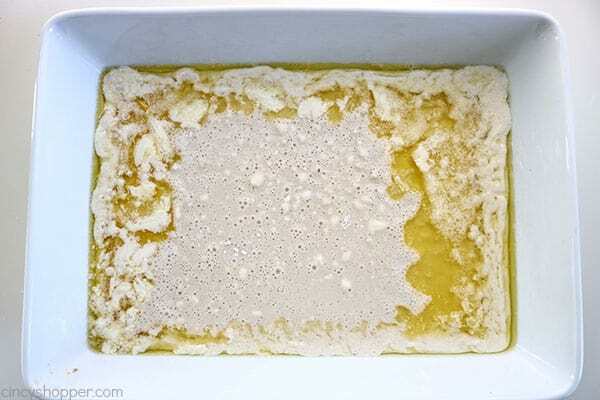 Place butter in baking dish (9×13) and place in oven until melted. Remove from oven and set aside. 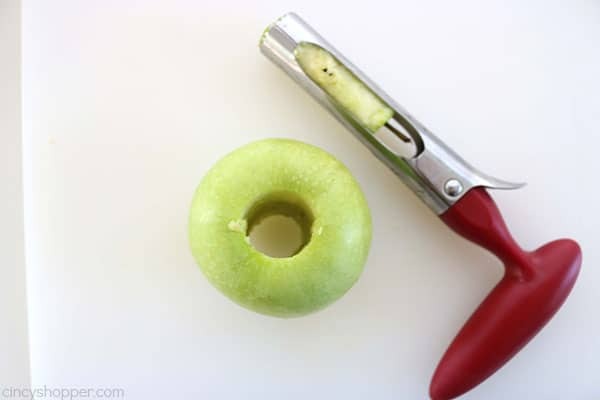 Core, peel and slice apples and place in large bowl. 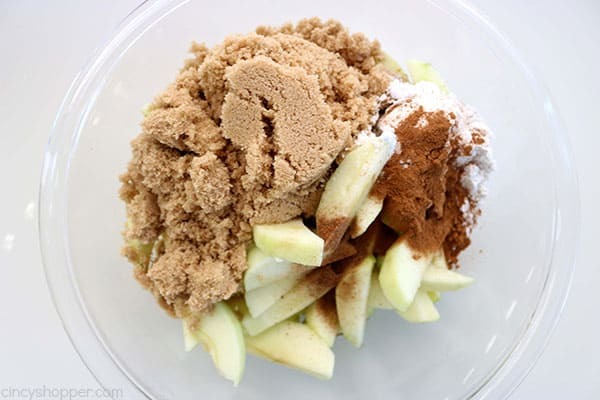 Add 1/4 cup flour, brown sugar, cinnamon and nutmeg to apples. Mix until well coated. 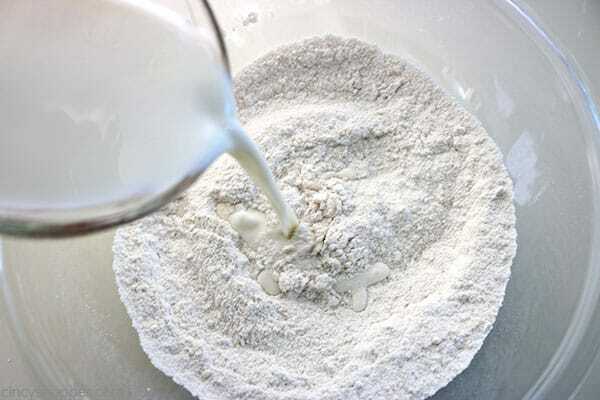 In another large bowl, whisk together remaining flour, sugar, baking powder and salt until blended. Pour batter into baking dish over melted butter. Pour apple mixture over batter. Bake 45-50 minutes until golden brown. 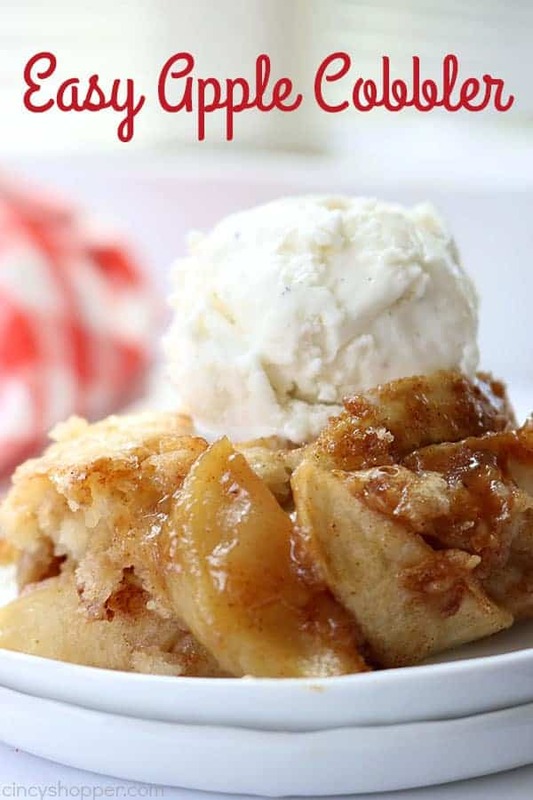 Do you have a favorite fall apple recipe? 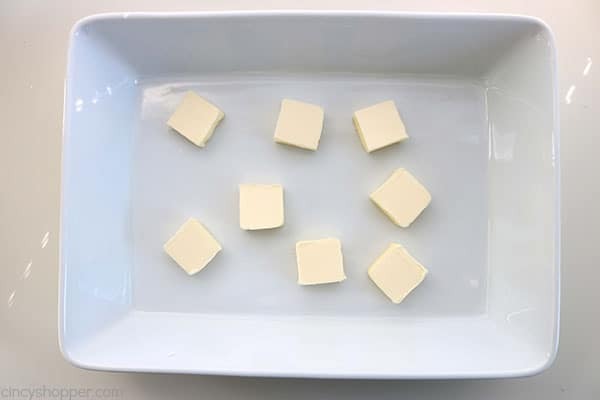 Place butter in baking dish (9x13) and place in oven until melted. Remove from oven and set aside. 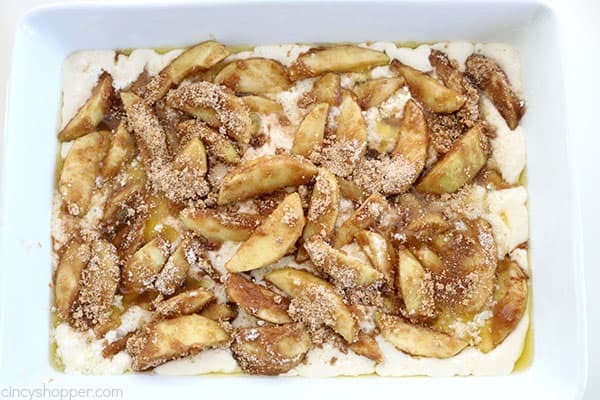 I have been craving an apple dessert. I had to stop by and check out your apple cobbler. I can smell all the amazing seasoning in it. Seriously, it looks delicious. I made this the other day. This is hands down the best apple cobbler Ive ever had/made. Followed your recipe, and it came out AMAZING. Thank you! Thanks for posting this easy yet delicious recipe. We’ve had 5 apples in our fridge getting old for a while now. I have been promising my sons that I would make apple cobbler with them. Finally, I had the time. Everyone loved it! I made this for my dad for his birthday and everyone loved it! Easy to make and delicious. Thank you. I made this tonight for dinner. All rave reviews from a family of seven. Thanks for sharing. I’ll be adding this simple and delicious recipe to my faves! Hey there! I got your recipe in the oven right now and its smelling amazing! I’m trying to start a blog myself, I would love to do one on recipes. Thanks again! This is great!! Quick question how do I store it. I just bakes it but bringing to a Super Bowl party tomorrow. Refrigerator?? Thanks !! My 4 year old grand daughter and I just completed this recipe and it smells amazing and it’s easy enough for her to be a big helper. Thank you so much. Have you never thought of making a healthier recipe? This is swimming in sugar, not ideal for our ever increasing obese and diabetic population. Thank you for the recipe. I made it this afternoon and as I was putting it all together, I realized that it called for too much brown sugar and butter. In the end, it came out too sweet and greasy. I think the butter and brown sugar need to be cut in half at least. Wonderful recipe and so easy. It will be a go to from now on. Thank you Jen for sharing! I have a question. The flavor is amazing, but the filling is dry. Am I doing something wrong?